Since the moment Pandamonium’s ears were first blessed with the game changing compositions of Prince Paul and The Bomb Squad, it would be unbeknownst to a particular local teenager at the time that by generously loaning this somewhat shy 10 year old boy his ‘Takes A Nation’ and ‘3 Feet High’ cassettes, he would stir a deep passion that would encourage this 10 year old to contribute towards one of the purest cultures and artforms he had ever encountered, in any way he could! Fast forward almost 30 years of rocking countless parties, holding down airwaves, and competing in the DJ battle scene (2 x UK DMC Finalist / Redbull Drop Champion), Pandamonium is now a well respected yet still up and coming beatsmith dedicated to keeping that same, raw, golden era sound alive today, but with a modern approach. Producing quality beats and remixes for some of the best MCs in the game, Pandamonium has been yearning to create something for a while now that not only focuses solely on his beat making ability, but also pays homage to his influences throughout life using his unique ability to manipulate audio samples from across the board. Well, “Sample Everything” is exactly that! 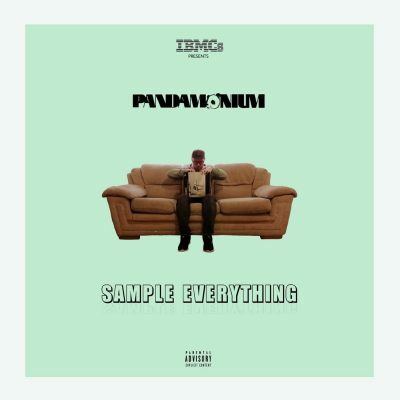 Taking you on a journey through 15 sample heavy, boom bap gems, crafted specifically for this LP to give the world a virtual glimpse into Pandamonium himself and what he is all about through the medium of music. With his signature word play style scratch hooks in abundance throughout and catchy sampling technique, this may well prove to be a cornerstone in Pandamonium’s music career that you don’t want to miss!